it since the beginnings of civilization. These facts are not so surprising when you consider its rarity, durability and unusual properties. Today gold has thousands of uses. It can be found in everything from calculators to space craft, jewelry and much more. It is virtually indestructible, resists corrosion, blocks 98% of radioactivity and conducts electricity. Its uses are almost endless and have just begun to be tapped. Gold is rare! Today there are 165,000 metric tonnes of stocks in existence above ground. If every single ounce of this gold were placed next to each other, the resulting cube of pure gold would only measure 20 meters in any direction. In creating supply, gold mining companies operate on every continent of the globe. This broad geographical dispersal means that issues, political or otherwise, in any single region are unlikely to impact the supply of gold. Beyond mine production, recycling accounts for around a third of all current supply. In addition, central banks can also contribute to supply should they sell part of their gold reserves. It is worth noting that after 18 years as net sellers, collectively central banks are now effectively net buyers, causing not only a significant decrease in supply but a corresponding, simultaneous increase in demand. The demand for this precious and finite natural commodity occurs in many geographies and sectors. Around 60% of today’s gold becomes jewelry, where India and China with their expanding economic power are at the forefront of consumption. In East Asia, India and the Middle East, gold has powerful cultural meaning, accounting for approximately 70% of the world’s gold jewelry in 2009. But jewelry creates just one source of demand; investment, central bank reserves and the technology sector are all significant. Each is driven by different dynamics, adding to gold’s strength and independence. markets, the long-term demand for this timeless treasure can be expected to continue. The current gold market conditions offer profitable opportunities; take advantage of these opportunities and own gold today. Perhaps the most amazing feature of gold is its stability as a standard of real value. Although its value may fluctuate, history proves its buying power tends to remain the same. Gold has been the most coveted metal in the world and the single most trusted international medium of exchange for thousands of years. Trade between countries frequently is based on gold value as the most reliable currency. 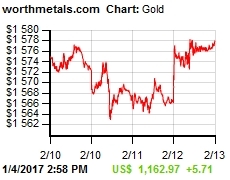 While paper currencies have been devalued, eroded by inflation, and become virtually worthless, gold has maintained its purchasing power. Gold has been the established monetary standard for centuries.